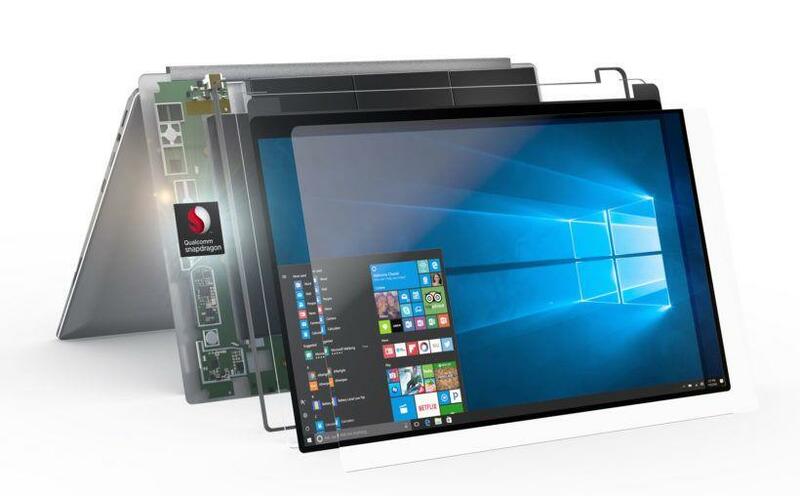 It was recently announced that Qualcomm’s Snapdragon 850 chipset would be dedicated to ARM laptops that use the Windows 10 operating system. Apparently, this is only the beginning of Qualcomm’s strategy to try to conquer the laptop market, and the next Snapdragon 1000 confirms this. The chip maker is looking forward to working on its next big project for laptops running Microsoft’s operating system, the Snapdragon 1000, and by doing so, it will be competing against Intel processors. It would be a silicon-based on an ARM with much more power compared to other SoCs. At this time, official information about the chip is not available, but here is what we know so far. The power of the Snapdragon 1000 would be much higher than that of other SoCs. It is estimated that it reaches 12 W in several devices, which brings it closer to the 15 W TDP of the Intel U series. In fact, the maximum power dissipation for Snapdragon 850 can reach up to 6.5 W and can be compared to the Intel Y-series. Qualcomm Snapdragon 1000 could be the first real threat for Intel with a higher TDP to allow greater speed and autonomy for future ultraportables. It is rumored that ASUS has developed a device that could house the Snapdragon 1000 chip and could be called Primus. It is estimated that this product has a resolution of 2K and can even provide support for the latest ultra-fast WiGig standard. The launch would be scheduled for the end of this year. The arrival of Qualcomm and the ARM chips to the portable market can mean equipment with greater autonomy.